A heads-up from Japan. 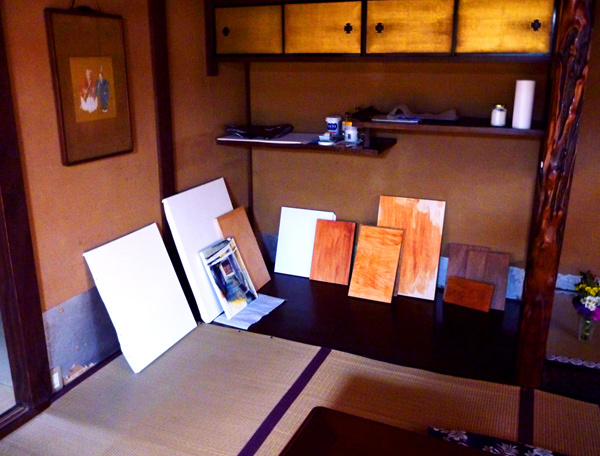 I’ve spent the first week on the Kyoto Machiya Art-In-Residence program now, preparing for lots of paintings. And also two upcoming joint expositions with Annelinde and Lies – the artists who are also part of the program. I’ll keep any future updates short, so I can get the work done. 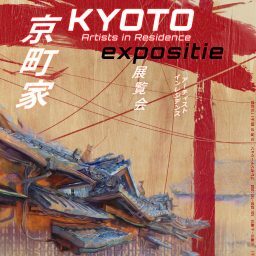 But I’ll try to do it regularly on the facebook page of the Uitwisseling-Kyoto-Machiya, the Dutch-Japanese program that invited me. And I will probably copy those on my facebook page and sometimes here. I’ll have to see how that works out. More on the background of the project in a later post. I still have five more weeks left here. 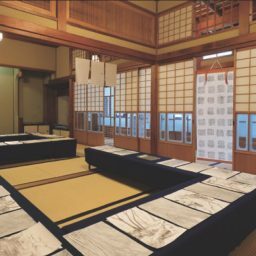 The first week I already used mostly for settling in, finding painting locations, visiting local artists, seeing the exhibition spot… and most of all preparing art materials. That proved tougher than anticipated. 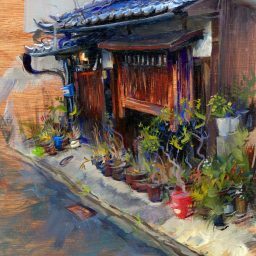 Japanese art stores are not heavy on oil paint. For some reason they also don’t carry much Turpentine and other things I’m used to… and let me not even start about the communication issues. I opted for wood-boards instead of the canvasses I’m used to. It’s cheaper and I think it might work really nice for the materials of these houses. But I had to learn how to prepare them, which took me quite some time. Anyways, all is done – so I want to at least cover all these with good art before leaving. Wish me luck! About 12 canvasses I prepared for paintings. I’m curious how the wooden boards will work out, never tried that before.